At Roto-Rooter Ventura, our drain cleaning work not only resolve emergency accidents for our customers across Oxnard, our services are also available for preventative maintenance care of the pipelines in homes and businesses. Our services have moved away from unreliable snaking and drain cleaning liquids in favor of more eco-friendly, trenchless solutions that produce excellent, long-term results. Our drain cleaning services are prefaced with a sewer camera inspection beforehand in order to assess the damage and determine the best approach to restoring the functionality of your pipelines. Even without immediate symptoms of pipeline problems presenting themselves, our sewer camera inspections are able to capture footage of the interior of a pipeline and expose areas of intense debris buildup and clog formations that can be quickly removed with our drain cleaning equipment. This inspection is conducted from the inside of the pipe, ensuring that no excessive and invasive digging is required. Once the problem has been diagnosed, we can recommend the best drain cleaning service to resolve it. At Roto-Rooter Ventura, we are proud to offer our hydro jetting services as the preferred drain cleaning method because of its versatility and high-quality, reliable results. Hydro jetting involves cleaning the pipelines in your home or business with the force of water pressure condensed through a hose and specialized nozzle attached. While the water pressure is controlled manually by our technicians, the nozzle on the spout sprays the water in multiple directions that ensure that the entire diameter of the pipeline is being blasted with the force of the water. Not only is this process effective for cleaning areas in the pipe that would be difficult to reach normally, it also ensures that the presence of clogs are eliminated as well as waste buildup. Our hydro jetting cleaning sessions serve multiple functions, making this service extremely versatile and effective for any situation that our technicians may encounter. This process is incredibly eco-friendly as well, as no chemicals are included in the water that is blasted through the pipelines, ensuring that there is no risk of the pipelines suffering from corrosion and being safe to employ in potable water systems as well. Our drain cleaning sessions are concluded with a camera inspection to ensure that every section of the pipeline is thoroughly cleaned and accounted for. Because of the convenience and effective results hydro jetting provides, our drain cleaning services are available for customers to schedule regular drain cleanings. 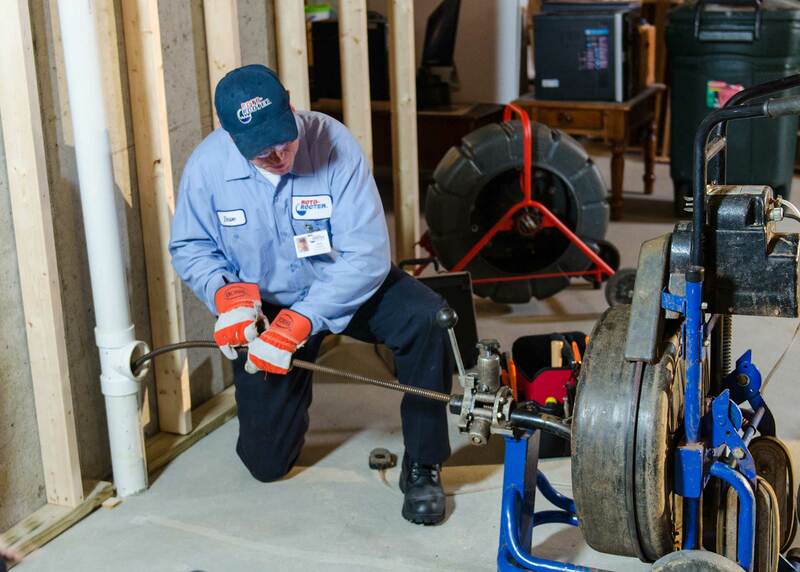 This service will renew your pipeline diameter and encourage efficient water flow, mitigating the formation of clogs and waste accumulation in the pipes and ensuring that your home’s pipeline system runs smoothly for a long time. If you’re a home or business owner residing in Oxnard and need reliable cleaning work done on your pipelines, call our team at Roto-Rooter Ventura to book your drain cleaning appointment today. Our trenchless-based drain cleaning services will restore your pipelines quickly without demolition, ensuring that you can trust in the quality and convenience of our work to keep your pipes clean and clear for years. Get a Free Drain Cleaning Quote!